Canadian Prime Minister Justin Trudeau has been trying to convince President Donald Trump of NAFTA's merits. 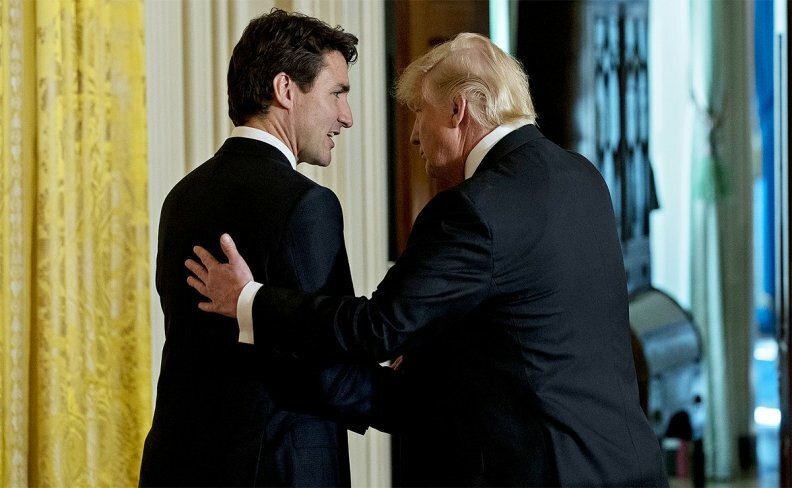 WASHINGTON — President Donald Trump urged the quick completion of the NAFTA negotiations in a phone call with Prime Minister Justin Trudeau on Monday, amid indications the U.S. wants a deal wrapped up this spring. Trudeau called his American counterpart during a tour of aluminum facilities in Quebec, on a day the prime minister did American television interviews to promote the integrated Canada-U.S. economy. What he heard directly from the president echoed public remarks from Trump's administration: The U.S. trade czar recently said he wants a new NAFTA concluded within weeks, because of upcoming elections in the different countries. The United States has said further delays might imperil the negotiations, with an outsider candidate leading polls for Mexico's July 1 election, and with Trump's party in danger of losing control of the U.S. Congress. "We recognize that the American side is eager to get forward motion on NAFTA," Trudeau told CNN's Anderson Cooper, in one of his U.S. interviews. "We are too. So we're glad to do it." Trudeau said tariffs on Canada would have made it harder to get a deal, and said he raised that with the president. He also credited Trump for keeping a promise: He said the president told him at last year's G7 that Canada would get an exemption, and kept his word. NAFTA talks might now enter an intense phase: "President Trump emphasized the importance of quickly concluding the ongoing NAFTA negotiations," said a readout from the White House on Monday's call with Trudeau. “[That would] ensure the vitality of United States and North American manufacturing industries and ... protect the economic and national security of the United States." Foreign Affairs Minister Chrystia Freeland will be in Washington for three days this week — meeting with U.S. Trade Representative Robert Lighthizer, Commerce Secretary Wilbur Ross, and key members of Congress. But some veterans of the original NAFTA have expressed doubt that it's feasible to complete a deal by spring; that's what it would take to complete the ratification procedures during the current Congress that leaves office this year.